Santiago de Compostela, a breath taking destination at the very heart of the lovely Galicia region, these days for tourists, hikers and pilgrims still following the ancient Way of St James from anywhere in Spain or even from France. The historic old town is now a designated UNESCO World Heritage Site, and any visit must take in the impressive Cathedral of Santiago which is said to be one of the very best in Spain. Pilgrims made their way to Santiago (the Spanish name for St James) to worship the relics that had been brought to the city from the Holy Land during the middle ages. The city was as important as Rome and Jerusalem at the time and is still a site of worship for many these days. 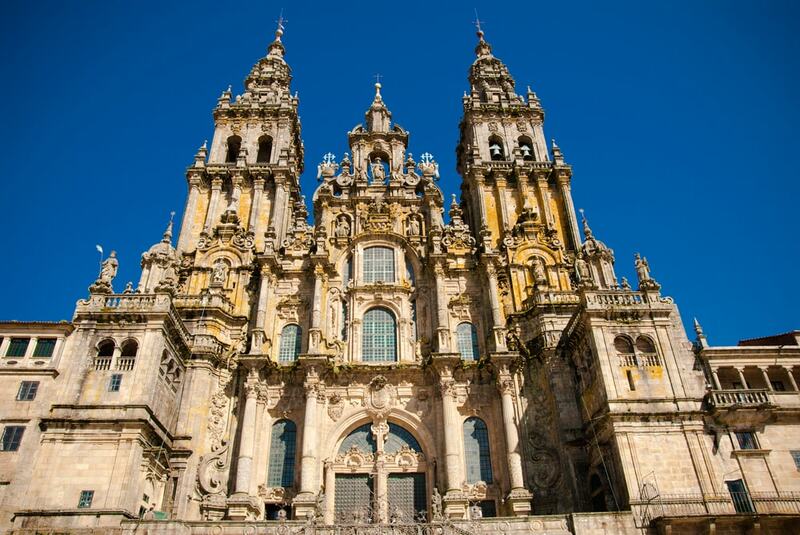 This cathedral is described as the most sacred Christian monument in Spain and is a rich reward for pilgrims that have made the arduous journey to get there. Although you can drive there of course and you too will be in awe at this majestic building. Head to the Plaza del Obradoiro and you’ll see its rising high above the town, so you can’t miss it! First constructed between 1075 and 1211 on the site of a ninth-century church that had been razed to the ground a century before. 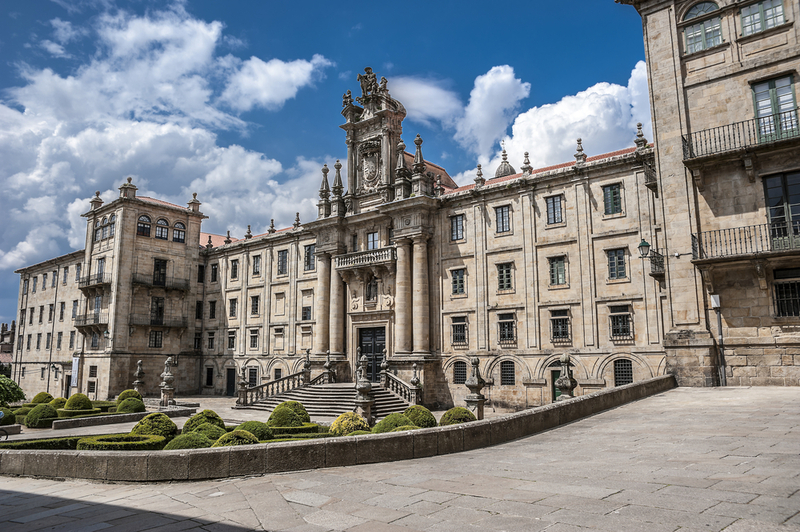 Take a stroll along to 1 Plaza Obradoiro and you’ll find a wonderful example of Gothic architecture in the form of a former pilgrims’ hostel. Over five hundred years old, you can wander the beautiful courtyards and get the feel of how pilgrims must have felt when they finally arrived in the town. Nowadays the place is a hotel with delicious Galician cuisine available in the hotel’s gourmet restaurant. Be sure to check out the lovely chapel inside, the Capella de Enrique de Egas, where worshippers past and present pay their home to Santiago. 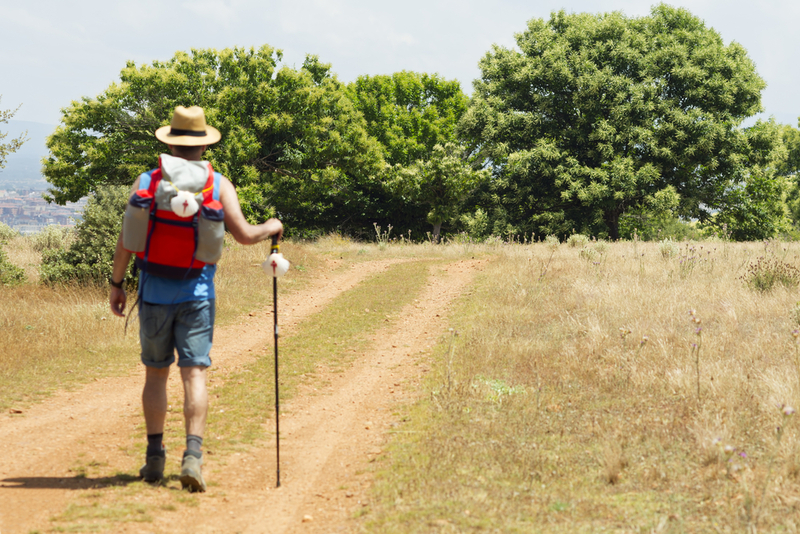 If you want to know more about why people make the sacrifice to walk very long distances to get to this town then the Museum of Pilgrimages will help you find out more about the amazing history of the pilgrimages. Also you can find out about the huge importance of Saint James’ relics to pilgrims about when the body of the saint was brought to the hill alongside Santiago (Libredon) and see ancient artefacts and religious items that help explain the story. You can find the museum at, 4 Calle de San Miguel & Plaza de Platerías, Santiago de Compostela, and you will not be disappointed by its quality that’s for sure! The enigmatic Old Town of Santiago can be found south of the cathedral and the Plaza de las Platerías and is these days officially listed as a UNESCO World Heritage Site. I recommend you head to the two streets at its very heart, the Rua Nueva and the Rua del Villar which are the centre for activity and life in the old town. Lined by restaurants, cafes and all kinds of shops you can wander the pedestrianised streets and enjoy the old world charm that defines Santiago’s Old Town. Goldcar, a market leader in holiday car hire, specialises in catering for the tourist by offering great deals at the very best prices. With over 40,000 new cars in over 80 destinations, Goldcar can offer the cheap car hire, discounts and offers for holidaymakers looking for a good deal for their holiday car rental.